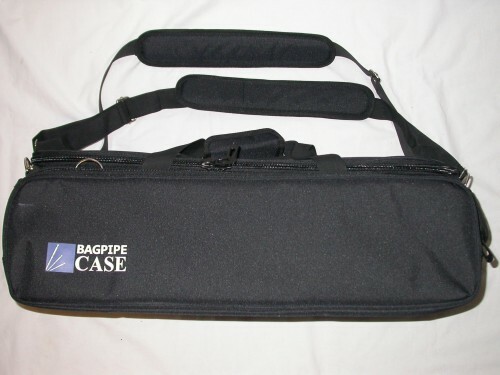 The Kinnaird Pipe Case is a high quality semi-rigid bagpipe case that offers protection, storage room, and can be worn as a backpack. 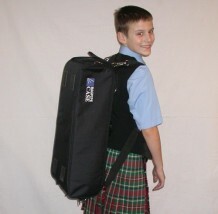 The case is large enough to fit all models of bagpipes. 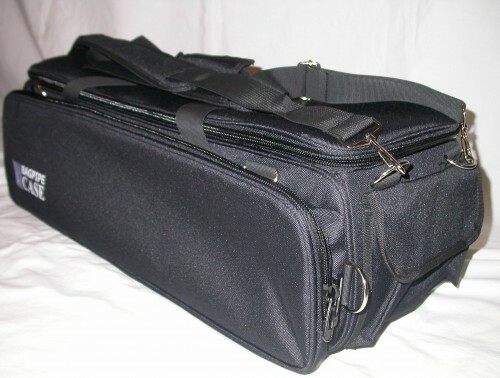 The large exterior front pocket, 2 end pockets, as well as the zippered interior pocket offer plenty of storage space for: maintenance items, music books, and practice chanters. The semi-rigid structure is made of a strong polyester exterior with high density padding foam on all sides. The exterior fabric is water resistant. 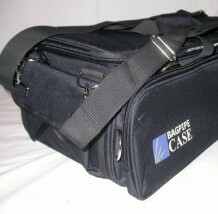 There is a top carrying handle, as well as 2 detachable shoulder straps which can be attached to the case in multiple ways including as backpack straps. Interior: approx. 23.5" x 8.25" x 7"
Exterior: approx. 26.5" x 10.25" x 8.25"
Shipping Surcharge in addition to Regular Shipping Charge. Please ensure that the Surcharge you select is the same as the shipping option you choose. For example, if you are in the US and select the Express shipping option, you must also select the US Express Surcharge. If the surcharge you select does not match the shipping option you choose, we will change it to match. Airmail shipping is not available for this item. I have been using this case for a few months now and really like it. Given the price point compared to some other brands, I was pleasantly surprised by how sturdy and well-designed this case is. I have just ordered a another one for my other set of pipes. I agree with one of the previous reviewers who said that when using it as a backpack, small things can slip out of the gap between the velcro and the edge. 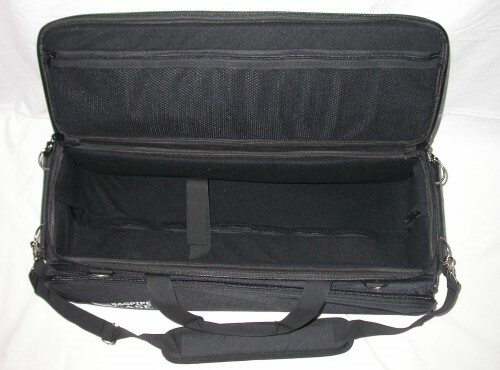 I avoid this by keeping a small case that is too big to fit through the gap. Don't put your keys or Swiss Army Knife in there without them attached to a lanyard affixed to one of the many rings on the case. All in all, I recommend this case so much I bought a second one for myself! 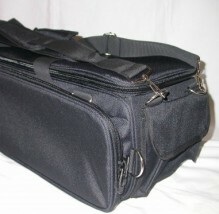 It's a great bag for the price, large enough to carry my pipes and all my other stuff too. Only two small points to watch out for. 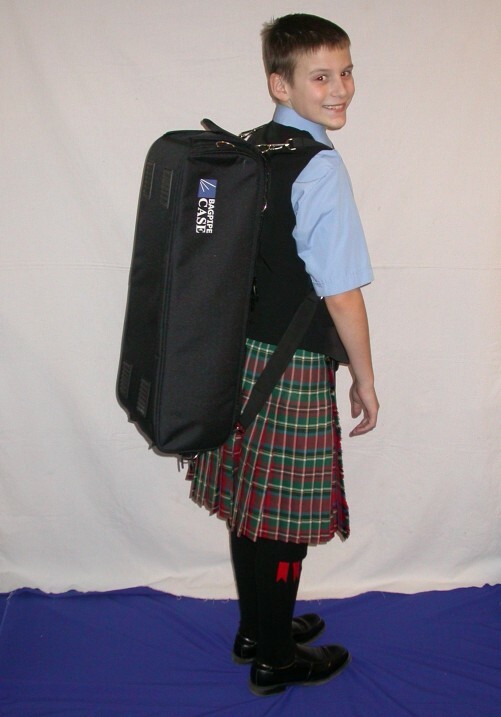 If you carry the bag backpack style don't trust the end pockets with anything you can't afford to lose. The velcro closures are just not up to the task. Finally, if you're wearing a sporran you'll find the buckle on your sporran belt cuts into the top of the bag. Sling it over your shoulder or carry it by the handles and you're good. 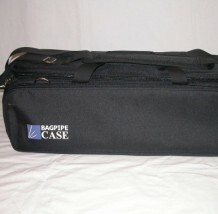 Ample storage space for all of my piping gear, including extra chanters, moisture control canisters, and maintenance supplies. 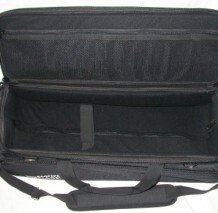 The mesh pocket on the underside of the lid makes it very easy to locate what you are looking for. Padding is fairly rigid and thick. 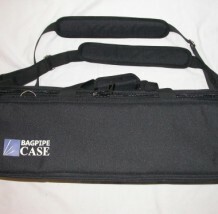 I like the Velcro strap inside to secure my pipes. I still have plenty of room for other things. 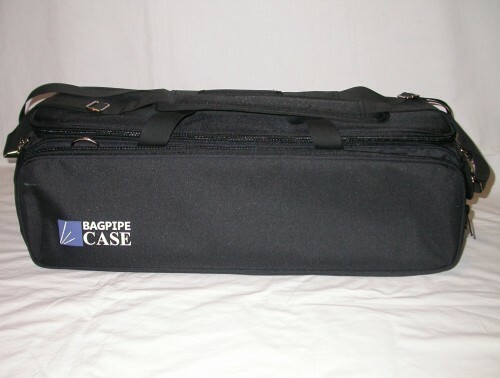 I am sure I could carry both GHB and smallpipes together in the case. 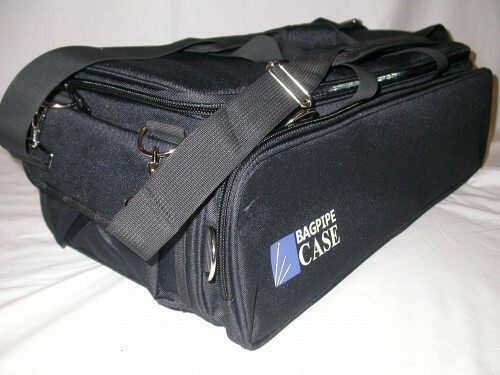 I was looking at the Bagpiper brand cases, and opted for the Kinnaird because it was about $60 less. 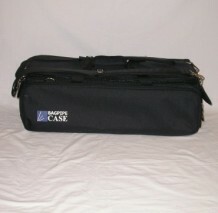 It is very comparable to that case in size and storage pockets. Like all of the Kinnaird products I have tried, this one is well engineered, and does not disappoint. 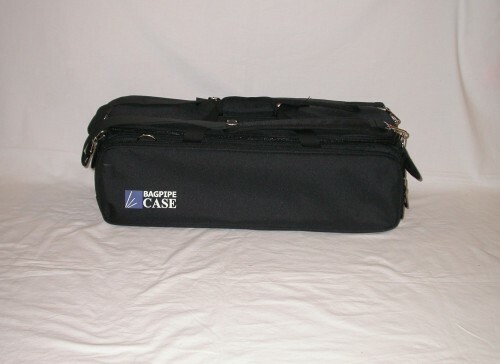 just received my new case last week...I love it....it is large enough to carry all of my stuff and room to spare...3 outer pockets are perfect. I would highly recommend this product to anyone.